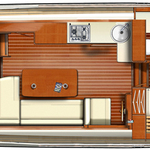 In 2013 has been produced sailboat Linssen Grand Sturdy 36.9 AC named Pic du Soleil. She is based in port Kinrooi in region close to Inland in Belgium. 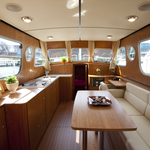 You can take in up to 6 passengers on the sailing boat Pic du Soleil. Configuration of sleeping places is 6 (4+2). There are 2 cabins located below boat's deck. Pic du Soleil is equipped with 2 WC with showers. Look for more search results by going to this section: Motorboats Inland. Tank for fuel is 360.00 l liters capacious , tank for water has up to 300.00 l l. In this boat there is motor 75 hp. 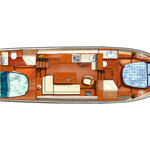 With 11.10 meters of LOA and 3.40 meters of beam Pic du Soleil offers enough space for comfortable sailing. Linssen Grand Sturdy 36.9 AC Pic du Soleil is equipped with: Bed linen, Coffee machine, Radio cd mp3, Radio / cd player, TV, Teak deck, Anchor electric windlass, Bow thruster. . Nonrefundable deposit is at the level of 1000.00 EUR. 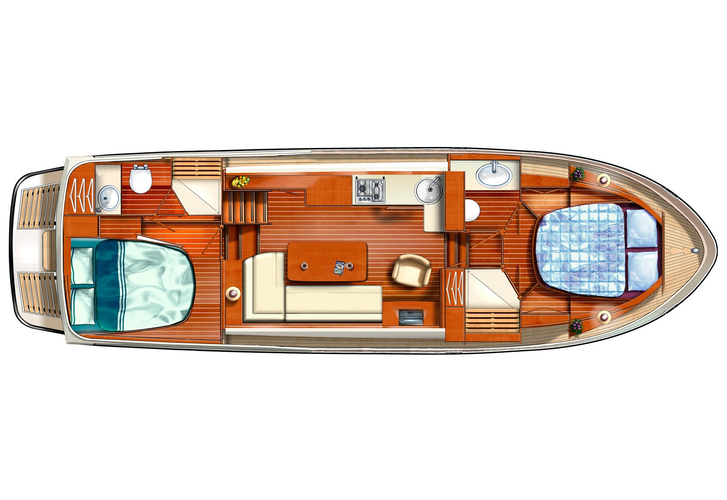 Find about other vessels by opening this link: Motorboats Kinrooi.